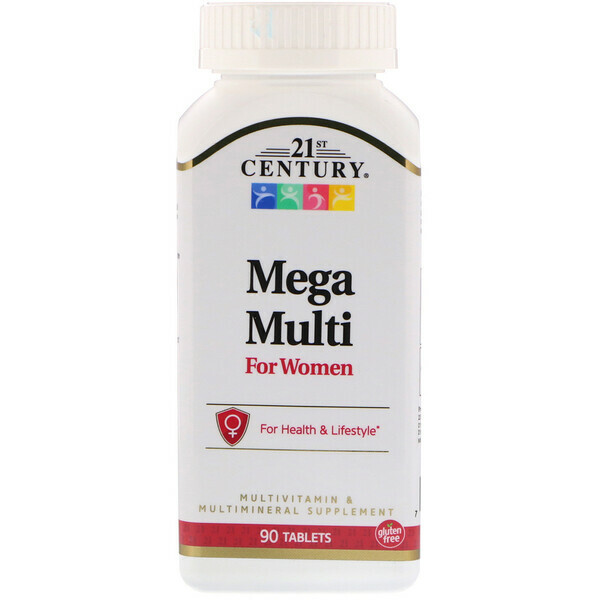 Mega Multi for Women includes a full spectrum of antioxidants, vitamins and minerals that support women's health. As a dietary supplement, adults take two (2) tablets daily with any meal or as directed by your healthcare provider. Do not exceed recommended dosage. Individual results may vary. Cellulose, maltodextrin, hydroxyrpropyl methylcellulose, stearic acid. 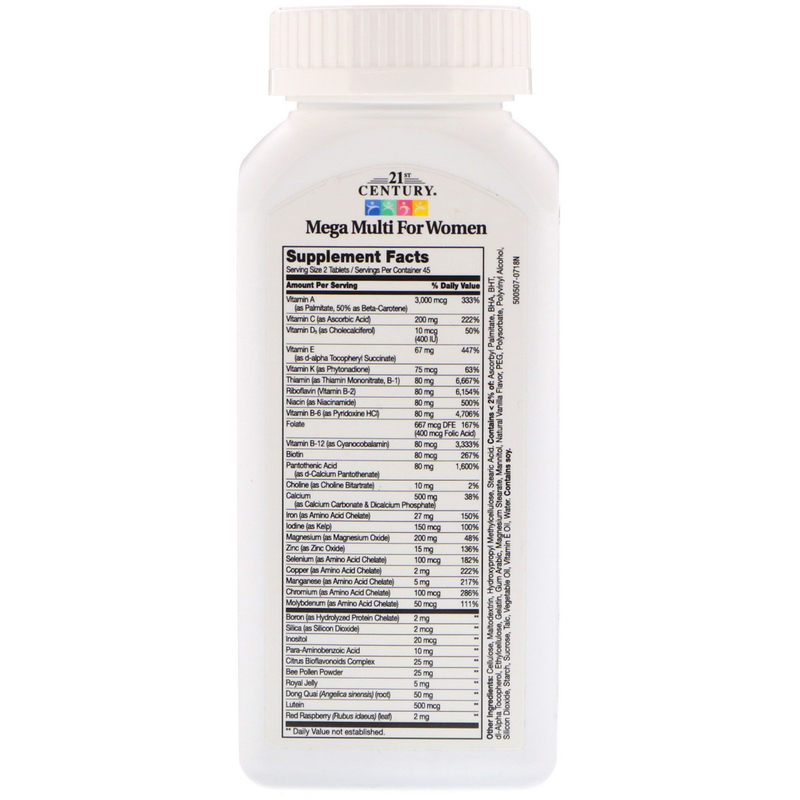 Contains <2% of: Ascorbyl palmitate, BHA, BHT, dl-alpha tocopherol, ethylcellulose, gelatin, gum arabic, magnesium stearate, mannitol, natural vanilla flavor, PEG, polysorbate, polyvinyl alcohol, silicon dioxide, starch, sucrose, talc, vegetable oil, vitamin E oil, water. Do not use if product appears to be tampered with or seal is broken. Store at room temperature.